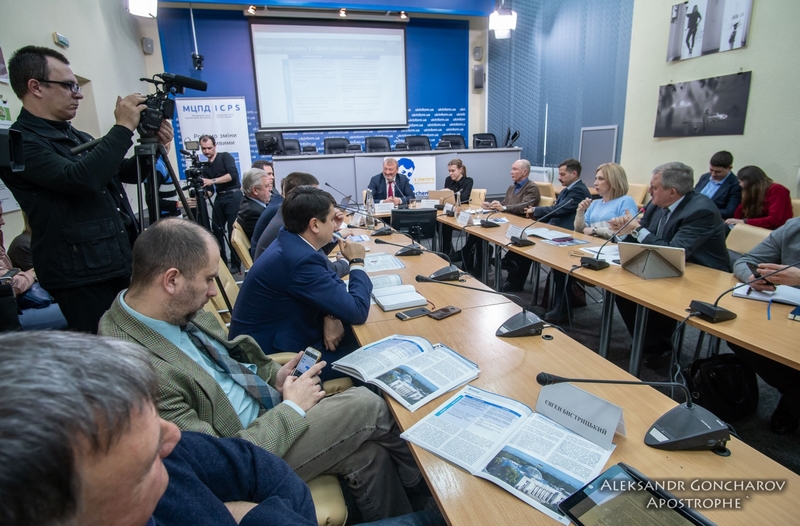 International Centre for Policy Studies presented the analytical paper “Assessment of security challenges: consequences for Ukraine's foreign policy after the elections”. Former foreign ministers of Ukraine, diplomats, international experts participated in the expert discussion. While presenting the research, ICPS Associate Expert Mykola Kapitonenko identified the trends, challenges and threats to Ukraine's foreign policy and national security. In turn, ICPS Chief Adviser Vasyl Filipchuk outlined the tasks and priorities for Ukraine's foreign policy after the elections. “The world is changing rapidly, destroying the traditional notions of international security and the form of interaction between states, - reads the introductory part of the study. - Institutes of multilateral cooperation are in deep crisis. International law and other non-forcible means of regulating international relations are losing efficiency, while the demand for hard power is growing. States have less trust to each other and increasingly accept international politics as zero-sum games. Non-traditional threats are increasing and those that were on the agenda for a long time - for example, the proliferation of nuclear weapons - is becoming more acute. In such conditions, Ukraine is increasingly turning into an object of international relations, as well as losing its influence on regional processes, while non-mention of global ones. The space for maneuver in foreign policy is narrowing; the tools and resources to achieve their own goals are becoming less. The implementation of current foreign policy, characterized by mixing priorities and lack of realistic assessment of the international situation, further weaken Ukraine's position on all key issues: in conflict with Russia, in dialogue with Western partners and in relations with the majority of its neighbors,” the authors believe. According to them, the continuation of this state of affairs will lead to Ukraine's consolidation in the “gray zone” of Europe's security for decades. The authors consider that the only chance to avoid this scenario is the presidential and parliamentary elections in Ukraine in 2019. Although the results of these elections are difficult to predict, without doubt, one can predict for several years that the urgency of Ukraine's challenges in the field of foreign policy and security will not diminish, and their solution will occupy a priority place among the new leadership of the country. One of the conditions for a successful new foreign policy is an adequate reassessment of the foreign policy and security environment of the country, challenges, threats, its own resources and opportunities to achieve its goals. “No matter what developments have taken place, Ukraine will need much more professional, decisive and flexible diplomacy in the coming years. This diplomacy, in turn, will require a lot of attention and great resources. We will be forced to learn to think about safety issues not as they used to do in the past. And this can prove to be a serious test”, - the authors of the study conclude. During the discussion participants also critically expressed their views on the current work of the Ministry of Foreign Affairs and foreign policy of the state as a whole. Both Kostyantyn Gryshchenko and Borys Tarasyuk, other heavyweights of Ukrainian diplomacy and expert environment emphasized, in particular, the problem of weak management in the Ministry of Foreign Affairs. Minsk Format, Budapest Plus or Anything Else? International Centre for Policy Studies in cooperation with the Geremek Foundation (Poland) initiated the conduction of the expert webinar devoted to the analysis of relations between Ukraine and Poland. Bilateral Polish-Ukrainian relations fully reflect geopolitical complexities, social interconnection, and cultural context of the recent century in the history of Eastern Europe. Driven by security considerations and mutual desire for closer partnership – or even alliance – these relations haven’t escaped series of conflicts and misunderstandings. A neighborhood with a tremendous potential remains vulnerable, this time not so much due to big powers’ games, but because of modified regional context and internal political developments. Both states perceive each other as strategic partners, and such a perception survived almost thirty years of ups-and-downs in international environment and internal political transformations in both countries. The stance of bilateral relations between them continues to be one of the key factors to overall regional stability. Poland and Ukraine have enough potential combined to impact regional political developments and put forward a new security agenda. This agenda should be realistic and take into account current political and geopolitical realities. At the same time, issues connected to national identities, including conflicts over history, are not likely to disappear. Rising nationalism will be a political trend in Eastern Europe for several years to come, and Poland and Ukraine should learn to live with it. Counterweighing identity issues with mutually beneficial cooperation in various spheres, introducing regional projects which would enhance joint efforts, concentrating on multilateral regional formats would help minimize risks of another wave of nationalism in the Eastern Europe. Attention should also be paid to improving democratic institutions. The task is crucial for Ukraine, which continuously falls into the “hybrid regime” group in EIU Democracy Index, but also important for other countries in the region, including Poland. More democracy would mean less internal conflicts, more power-sharing, and better protection for minorities – benefits, which any state of the region would welcome. The detailed analysis on the current state of play in Ukraine-Poland relations can be found in the webinar’s materials: ICPS presentation What is happening in relations between Ukraine and Poland? ICPS conducts a series of expert webinars devoted to the analysis of Ukraine’s relations with its Western neigbors as part of the project “Ukraine and V4 countries: promoting better understanding”. Considering potential negative consequences from the current tendencies, the main purpose of the ICPS expert discussions is to elaborate common, effective mechanisms for the normalization of relations and good-neighborliness between Ukraine and the member countries of the Visegrad Group. The project is implemented with the support of the International Visegrad Fund. 2018 has been another difficult year for Ukraine and in particular for its foreign policy. Lack of progress in reforming the country puts strict limitations on what can be achieved internationally. As a result, most significant problems on the agenda – a protracted conflict in Donbas, tense relations with neighbors, insufficient international support – remained unresolved or got worse. As in previous years, Ukraine remains in a grey zone of European security and finds its low levels of efficiency and democracy in a sharp contrast with rhetoric about EU/NATO membership. Things seem to get worse recently also due to changes in strategic environment. The world becomes more prone to hard power and less democratic, while international politics is much closer to zero-sum game than it used to be five years ago. These trends are not favorable for countries like Ukraine – middle powers with weak economies in a dangerous environment. Ukraine, on its part, is responsible for a number of important decisions is has taken. The country’s current international stance is far from the best. Key Outcomes of 2018 Along the main lines of Ukraine’s foreign and security policy there have been several important developments in 2018. Among them are: changes in military operation from ATO to operation of united forces to in the East of the country in accordance with an adopted Law on the Peculiarities of State Policy on Ensuring Ukraine’s State Sovereignty over Temporarily Occupied Territories in Donetsk and Luhansk Regions (hereinafter referred as Law on Donbas), accompanied by the talks on possible peacekeeping mission; high tensions with Western neighbors; further deterioration of relations with Russia, resulted in non-prolongation of the Ukrainian-Russian Treaty on Friendship, Cooperation, and Partnership (hereinafter referred to as Big Treaty) by Ukraine; Azov Crisis; and subsequent introduction of the martial law in Ukraine; beginning of lethal arms supplies from the USA; intensive rhetoric over cooperation with NATO and EU, resulted in Parliament’s voting for constitutional amendments stipulating Ukraine’s intentions to join both organizations. The Law on Donbas, which entered into force on February, 24th, was supposed to consolidate Ukraine’s efforts in areas of the-then anti-terrorist operation. The latter has been changed into United Forces Operation on April, 30th. The Law has been introduced to resolve legal issues related to the ongoing military operation and, as it soon became apparent, is unable to resolve the conflict. As times goes by, chances for quick and effective conflict resolution are diminishing. By the end of 2018 is has become clear that the idea of UN peacekeeping mission so much disputed a year ago, is more difficult to carry out than it initially seemed. Most likely, the conflict will follow the path of other post-Soviet frozen conflicts, allowing Russia tools for destabilization and partial control and undermining state efficiency in target countries. International environment of the conflict seems to remain quite stable, with Europeans and Americans aiming at minimizing risks of escalation and keeping the conflict at low intensity levels. Ongoing militarized conflict generates demand for a more “rally-around-the-flag” ideology, which has been more actively implemented in Ukraine in recent months. It has already impacted relations with Western neighbors, most evidently Hungary and Poland; and is likely to impact them further. The Law on Education, adopted by the Parliament in September, 5th, 2017, provoked negative reaction from Hungary, which has ever since effectively blocked Ukraine’s rapprochement with NATO. Further escalation of tensions has been triggered by issues of citizenship: Hungarian consulate in Berehove has been recorded issuing Hungarian passports for Ukrainian citizens. A diplomatic scandal followed, as well as it became evident that Ukraine needs a more coherent approach to issues of dual citizenship. Moreover, on February, 6th, the Ukrainian Parliament adopted an acclamation in reaction to adoption of amendments to a Law on the Institute of National Memory in Poland. It signaled another round of Polish-Ukrainian clashes over historical issues, which are currently promoted by a rising influence of right ideologies in both countries. The bottom line of these developments is deterioration in Ukraine’s bilateral relations with its Western neighbors. This trend seems to be long-term and damaging Ukraine’s European and Euro-Atlantic aspirations. In what concerns Ukraine’s relations with its Eastern neighbor, Russia, things are hardly getting better. The year has been marked by continued discussions over the fate of the Big Treaty. In April president Poroshenko was offering denunciation of specific articles of the Treaty, but already in September a decision was taken not to extend the Treaty for the next ten-year period (as envisaged in the Article 40). Additionally, the corresponding Law has been approved by the Parliament later in December. The Treaty was a part of a huge normative basis of bilateral relations, totaling more than 450 agreements. About 40 of them have been terminated since 2014. Together with sanctions, introduced by Ukraine against Russia, weakening of the normative basis remains one of the very few instruments Ukraine implies in attempts to make Russia change its policies. In 2018, just like in previous years, a lack of long-term strategy of dealing with Russia has made most of the steps Ukraine was taking ineffective, costly and risky. Risks have become especially evident in December, when the crisis around the Sea of Azov and the Kerch Strait broke out. Three Ukrainian ships with 24 sailors has been shot and captured by the Russian naval forces when attempting to get to the Sea of Azov through the Kerch Strait. Russian actions violated norms of international law, in particular the UN Charter and the Convention on the Law of the Sea, as well as the Treaty for Cooperation in Utilizing the Azov Sea and the Kerch Strait between Ukraine and Russia, singed in 2003. Ukraine’s reaction was more resolute than even in 2014 and involved introducing of a martial law, which however was accompanied by fierce political discussions at the Parliament. With the impact of the Martial Law unclear, it is evident, that the end of the year brought about another peak of escalation, capable to influence upcoming presidential elections. Relations with the United States have remained another priority of Ukraine’s foreign policy. The Crimea Declaration, issued by the State Department on July, 25th, was enthusiastically welcome in Ukraine. The document contains a notion that United States reaffirms as policy its refusal to recognize the Kremlin’s claims of sovereignty over territory of Crimea. It also refers to the Welles Declaration of 1940, framing similar position towards occupation of the Baltic States by the USSR. Administration of President Trump doesn’t seem to take a stance, which would be very different from the one of the Obama’s, but one difference has become apparent. On March, 1st, supplies of FGM-148 Javelin anti-tank missiles to Ukraine have been approved by the State Department. The long awaited move was taken in Kyiv as a sign of American support in Ukraine’s war against Russian-backed separatists in the East of the country. President Obama was reluctant to approve weapons supplies to Ukraine for various reasons, most notably out of fear of conflict’s escalation. Russia’s actions were contained rather by sanctions than by arming Ukraine. President Trump took a more resolute stance. $350 million for military assistance to Ukraine was allocated in the budget for 2018. A subsequent decision to approve a $47 million supply of FGM-148 Javelin missiles and a $41.5 million supply of Barret M107A1 sniper rifles in 2018 must have been uneasy. The numbers are not very high: the total value of exported American weapons worldwide was about $42 billion in 2017, while supplies to Israel, a top-receiver of American arms, surpassed $3 billion in total. But nevertheless that may be an important step forward. Providing Ukraine with Javelins would certainly signal some level of support from the US, but a much more effective strategy would rest on series of arms transfers, within a properly designed time framework or even without an expiry date. Unlike a single delivery of even a rather sophisticated and/or expensive weapon, systematic supplies are capable of becoming a powerful deterring instrument. If Ukraine is to receive American weapons continuously, the strength of deterring signal to Moscow would be maximized. Deterrence of Russia inevitably involves rhetoric about NATO and EU membership on the part of Ukrainian officials. As the rhetoric becomes more persistent, Ukraine is hardly getting closer to what has been declared its top foreign policy priority. Lack of reforms which would introduce sustainable democracy, rule of law, and economic efficiency puts limits on how close Ukraine can get to become a member of either EU or NATO. At the same time, the European and Euro-Atlantic discourse of Ukraine’s foreign policy has already become dominant and in 2018 got additional impetus through the process of making constitutional amendments, launched by the President. They are supposed to turn Ukraine’s aspiration for EU and NATO membership into a constitutional norm in an attempt to make this strategic course irreversible. To a certain extent, this step can be seen as a symbol of Ukrainian foreign policy in the recent years. Declarations of the country’s pro-European choice have been accompanied by deterioration in relations with neighbors to the West, deadlock in managing conflict in Donbas, and a growing apathy on the part of major powers. Will anything change in the year to come? Setting for 2019 Years of presidential elections are usually turbulent in Ukraine. Next year’s two election campaigns may make foreign and security policy a hostage to internal political struggle. Features, which surely will persist, no matter who wins the elections, are structural to Ukrainian foreign policy. They include the following. First, Ukraine will remain in a grey zone of regional security. Lack of allies and security guarantees has been a key feature of Ukraine’s strategic environment, and will most likely remain. About two dozens of states, claimed by Ukrainian presidents as the country’s “strategic partners” do not have any security guarantees extended to Ukraine. Second, Ukraine will face asymmetry in almost any bilateral relations. Long-term weakening, lasting periods of destabilization, incoherence of foreign policy made Ukraine vulnerable not only to superior powers, like Russia, but also to smaller neighbors, which are members to NATO and EU. Managing asymmetry requires special skills, including multilateral formats, and thus may require new approaches from Ukrainian diplomacy. Third, improving foreign policy decision making remains important. The Law on Diplomatic Service, adopted June, 07 and entering into force December, 12 is only one step in that direction. Ukraine’s foreign policy bureaucracy remains largely inefficient, subordinated to issues of internal political struggle. These problems are also to be addressed. More specifically, the foreign policy agenda will most likely be dominated by the attempts to resolve the conflict in Donbas. Much will depend on whether a new president will be able to change Russia’s position and strengthen international support for Ukraine, be it in Normandy, Budapest+ or any other format. Religious issues will most likely be affecting election campaigns as Ukrainian Orthodox Church will be moving towards autocephaly. But their influence on foreign policy in the upcoming year will remain limited. Exploitation of religious, language, and national issues may become a part of longer term strategy of dealing with Russia, but a question remains whether it will be a good strategy. Ukraine should do its best to get relations with Hungary and Poland back to normal. Prolongation of conflicts on historical and linguistic grounds plays against interests of all, but most of all against Ukrainian interests. Intentions to join EU and NATO will continue to be main foreign policy slogans under any president in Ukraine. The question is how fast Ukraine will get closer to real cooperation with both. This question seems to be fundamental for the country’s foreign policy. Possible Scenarios Elections in the upcoming year open up some space for guesses and predictions. Although it is still hard to say who would be the winner of presidential and parliamentary campaigns, a variety of results can be boiled down to three basic scenarios. Scenario with incumbent leadership. Under this scenario current president in office would win elections and retain power in Ukraine. His control over Parliament would most likely diminish, but generally he will be able to carry out foreign and security policy of his choice. This choice will resemble current strategy. The conflict in the East will be frozen, and the conflict with Russia further instutitionalized, also as a part of Ukraine’s internal political agenda. Further construction of national identity would keep conflicts with Western neighbors open. Ukraine’s intention to join EU and NATO will dominate foreign policy discourse; however remain unfulfilled in five years. Scenario with a president ready to negotiate with Russia. Such a president will find it very challenging to carry out a strategy, aimed at reaching consensus with the Kremlin, since a large part of Ukrainian society takes any negotiations as a sign of capitulation. But if such a strategy would be put into practice, peace in the East will be the most valuable outcome. Whether it will lead to a comprehensive conflict resolution is doubtful, since this conflict is a part of a broader clash of interests. However, regaining control over Ukrainian territory and the border would be possible. Finding modus operandi with Russia would be the central part of the foreign and security policy. Scenario with a victory of right-wing/radical forces. Although not a likely scenario, it is still possible. It is also possible that any elected president would tend to take a more radical and a more right-wing stance, as it often happens in countries which experience wars or protracted military conflicts. If that is the case, the most likely foreign policy outcome would be deterioration of relations with the West, series of crises in relations with Ukraine’s Western neighbors, and escalation in relations with Russia. Foreign policy of such a president would be more risk-prone and, most likely, more isolated. Much will depend on observing democratic standards and the day of elections. Possible frauds, non-recognition of results by competing parties, or violence would significantly undermine legitimacy of the future president, decrease support from the West, and thus make external challenges even harder for him. Conclusion Ukraine finds itself in a quite complicated international environment, which will remain so for at least several years. Vulnerable to numerous challenges, having no allies and long-term strategy on most pressing security issues, the country is de facto implementing and most likely will proceed with ad hoc foreign policy. Fighting for its statehood and independence Ukraine will need a much more creative, flexible, and strategic foreign policy. A protracted conflict with Russia, vague perspectives to further deepen relations with Western institutions, and deteriorating regional neighborhood will set the scene for the next president of Ukraine in 2019. The International centre for Policy Studies (ICPS) in partnership with the Institute for Economic and Social Reforms, INEKO (Slovakia) initiated the conduction of the expert webinar devoted to the analysis of key trends and future prospects of the relations between Ukraine and Slovakia. “Pragmatism” and “balance” – that is how the relations between Ukraine and Slovakia can be characterized. Unlike the situation with other western neighbors of Ukraine, relations with Slovakia are not burdened with historical and ideological speculations. At the same time, the partnership between the two countries is driven with complementary interests, first and foremost, in the security and energy spheres. However, prospects for the development of strategic partnership between Ukraine and Slovakia are often underestimated, as there is enormous potential for increasing and deepening bilateral trade, cooperation in the areas of energy, regional security and cross-border cooperation. Moreover, a bilateral mechanism for the protection of minority rights can serve as a model for solving this problem with other countries. 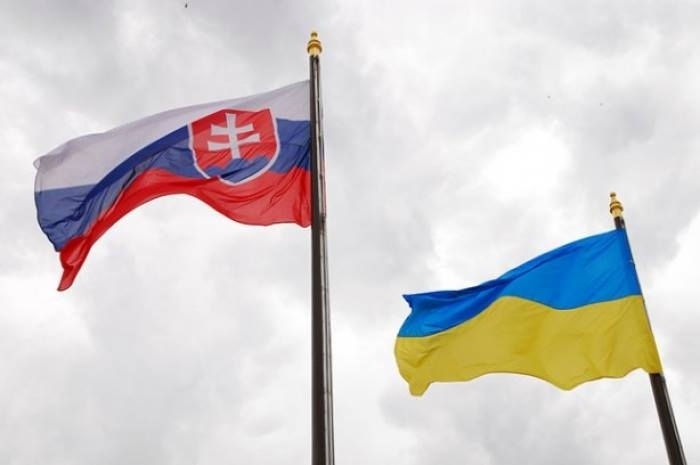 The experts emphasized the importance for both countries to use rationally the existing potential for cooperation in order to strengthen the strategic partnership between Ukraine and Slovakia. The detailed analysis on the current state of play in Ukraine-Slovakia relations can be found in the webinar’s materials: ICPS presentation UKRAINE-SLOVAKIA RELATIONS: DEVELOPING A TRUE STRATEGIC PARTNERSHIP? ICPS conducts a series of expert webinars devoted to the analysis of Ukraine’s relations with its Western neigbors as part of the project “Ukraine and V4 countries: promoting better understanding”. Considering potential negative consequences from the current tendencies, the main purpose of the ICPS expert discussions is to elaborate common, effective mechanisms for the normalization of relations and good-neighborliness between Ukraine and the member countries of the Visegrad Group. The project is implemented with the support of the International Visegrad Fund. The essence of the Azov crisis lies in the fact that the developments demonstrated fragility of the current ceasefire between Ukraine and the Russian Federation, as well as a huge lack of trust from the Ukrainian society to the current country’s leadership. The situation which evolved in the Ukrainian-Russian conflict and the region in general continues to contain a huge explosive potential which, if combined with several circumstances, can lead to the restoration of a full-fledged conflict. The Ukrainian leadership not only failed to develop an effective defense system or a conflict settlement concept over the past five years, but lost a trust credit, which the society gave to it five years ago. Under these circumstances, any radical change either in the Ukraine-Russia relations, or in the Ukrainian internal politics can lead to destabilization which was possible to be observed on November 25-26, 2018. All the parties should adhere to maximum restraint in rhetoric and action, and the resumption of a peace settlement process or adoption of internal decisions in that regard is possible only after the reboot of power in March 2019. Introduction On November, 26th, the Ukrainian Parliament approved martial law, suggested by the President of Ukraine following the recommendations of the National Security and Defense Council. Initially recommendations of the NSDC and the President’s decree were about introducing martial law for the period of 60 days on the whole territory of Ukraine. The decree had to be approved by the Parliament, where a number of fractions expressed concerns over possible postponement of the presidential elections, scheduled for March, 31st, 2019. Tough negotiations over the issue resulted in a modified version of the Presidential decree, approved by the majority of 276 members of Parliament: martial law will be introduced starting November, 28th, for a period of 30 days in ten regions of Ukraine, bordering Russia and Trasnistrian part of Moldova. Presidential elections would be held on March, 31st, 2019. The Azov Crisis These events followed the incident near the Kerch Strait a day before, when Russia attacked and later seized three Ukrainian vessels, capturing 23 crew members; six of them have been wounded. Ukrainian ships have been heading to Mariupol from Odesa. The transfer has been reported to the Russian authorities beforehand to arrange the passing through the strait, currently dominated by the Crimean bridge recently constructed by the Russian side – of course, against the norms of international law. It should be noted, that back in September two Ukrainian ships have already passed through the Kerch Strait, staying at a distance of 12 miles from the shore according to Russian statements. During the transfer on November, 25th, Russia has blocked the movement of the ships; subsequently ‘Yany Kapu’ tugboat of the Ukrainian Navy has been rammed by the Russian sea tugboat ‘Don’. Later on Russian combat helicopters Alligator K-52 approached the Ukrainian ships, while the movement under the bridge has been blocked by a tanker. Russian side has demanded Ukrainian ships to stop further movement and warned of possible use of weapons. When Ukrainian ships left a 12-mile zone around Crimea heading back to Odesa, Russian ships opened fire, injuring crew members and damaging the ships; and eventually captured them. Legal Assessment By openly using weapons against Ukrainian ships Russia violated a number of international norms and agreements, in particular UN Charter and the Convention on the Law of the Sea. Given that according to international law, Crimea is a part of Ukrainian territory, in no way Ukraine violated anything: its ships have been moving in its territorial waters and/or exclusive economic zone. 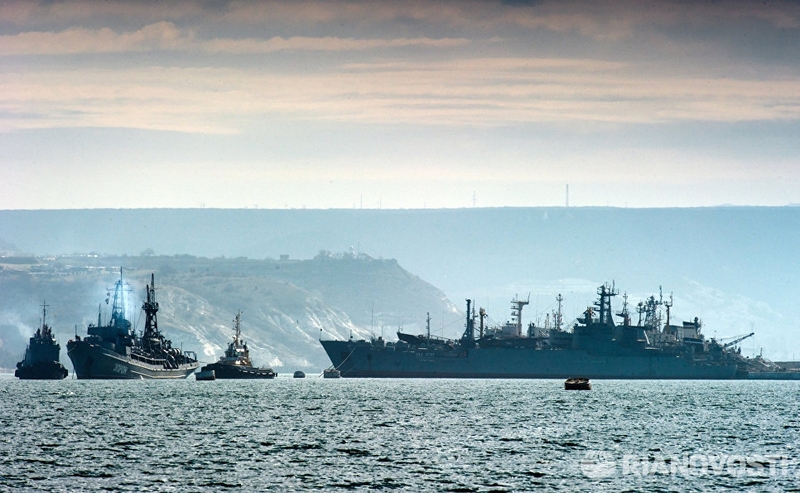 Russian claims that Ukrainian ships violated Russian border have no sense. According to international law, Russia has attacked Ukrainian ships in Ukrainian waters, which is an act of aggression. At the same time, there’s an obvious discrepancy between legal principles and situation at hand, caused by Russian occupation of Crimea. Formally Ukrainian ships have an unquestionable right to move in Ukraine’s sovereign waters, but in fact these waters are under Russian control. The same applies to Ukrainian army units if they decide to travel to Donetsk. One can’t just follow formal procedure, since the risk of escalation is unacceptably high. Moreover, situation in Donbas has been regulated by the UN SC Resolution 2202, which framed the Minsk-2 agreement and limits Ukrainian Army’s freedom to maneuver. Anything like this is absent for Crimea and Kerch Strait. Thus only Russia violated the norms of international law, but while we will be accusing Moscow in violating international law, Moscow will be accusing us in violating its territory. There’s a bilateral Treaty for Cooperation in Utilizing the Azov Sea and the Kerch Strait between Ukraine and Russia, singed in 2003 – another Treaty violated by Russia. Free passage of the Kerch Strait is guaranteed by this Agreement, according to which the Azov Sea and the Kerch Strait are shared territorial waters. The Treaty is still valid, although it has lost most of its sense following the occupation of the Crimea and non-prolongation of the “Big Treaty” between Ukraine and Russia. International Reaction A meeting of the UN Security Council has been convened on November, 26th. Agenda offered by Russia has been rejected, as was the Russia’s arguments about Ukrainian ships violating Russia’s state border. The US, the Great Britain, France, Germany, Poland, Sweden, and the Netherlands expressed their support for Ukraine. At the same time China, Cote-d’Ivoire, Kazakhstan, Bolivia, Peru, Kuwait, Ethiopia, and Equatorial Guinea refrained from putting blame on Russian and called for both parties to avoid escalation. 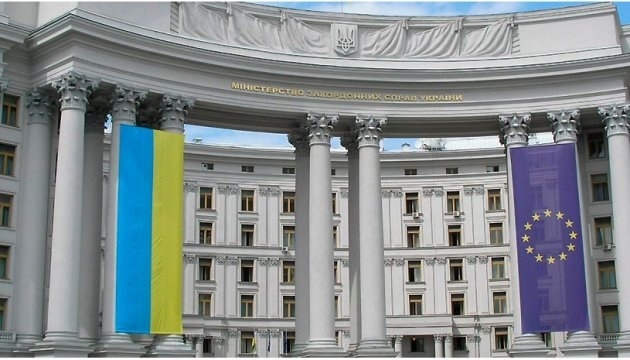 Before the attack on Ukrainian vessels Lithuanian Foreign Ministry strongly condemned blocking of the Kerch Strait by Russia and ramming the Ukrainian ships, calling it the act of aggression. Later Estonia joined the condemnation of Russia’s attack on Ukrainian ships and called on release of the ships. Latvian Foreign Ministry called for international community to condemn the attack. NATO urged Russia to open access to Ukrainian ports and called for restraint. 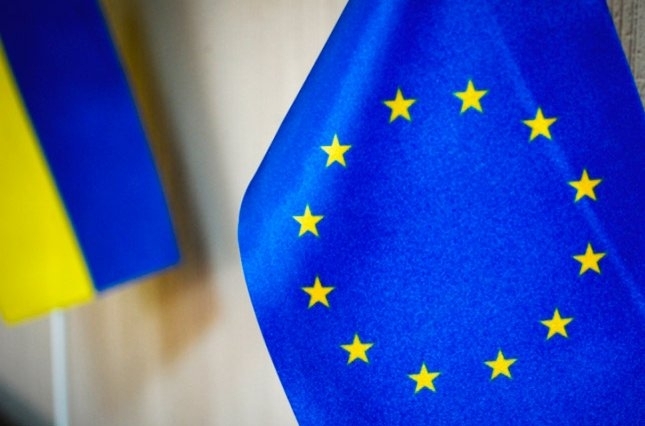 The EU also demanded Russia to restore freedom of passage at the Kerch Strait and urged both countries to act with utmost restraint – a phrase which raised so many questions and critical remarks in Ukraine. Secretary General of the Council of Europe outlined the importance of avoiding escalation. Canada and Poland also condemned Russia’s aggressive actions. Implications The crisis indicated constant presence of a high risk of possible escalation around the Kerch Strait. Legal and political implications of occupation of Crimea by Russia are going to accumulate and generate regional instability even in relatively simple cases. Politically Ukraine has got a better position: Russia is responsible according to international law. However, opportunities to hold Moscow responsible are not huge. The issue is most likely going to get back to possible expansion of the sanctions, which would hardly be an effective measure. A better political position of Ukraine is still to be converted into bargaining power. Ukraine will also face some questions, for instance the one about the aim of sending military ships to waters heavily controlled by an aggressive neighbor. International support will largely depend on the level of trust to Ukraine. If Ukraine fails to provide its Western partners with clear and understandable explanations on the purposes and plans of the Ukrainian military, it will not play in favour of Ukraine in terms of its perception as a predictable partner. That is why the Ukrainian leadership now has to make good efforts to ensure that both international partners and Ukrainians believe that the recent decisions are not political intrigues, but indeed a part of a well-developed strategy of defending the Ukrainian sovereignty. If such arguments are not provided, it will be extremely complicated to keep the trust, and the suspicions on internal political motives will only intensify. Introduction of martial law in Ukraine triggered fears of significant limitations of freedoms and possible postponement of presidential elections. Partly they’ve been dismissed by amendments into Presidential order, but it still remains to be seen how the provisions of the Law will be used. Economic aspect The approval of the martial law has become a precedent for Ukraine and the Ukrainian economy. Therefore, it is very difficult to predict the economic consequences under current realities. In general, it is possible to say that such situation has an internal and external aspect. The government can somehow influence the situation inside the country and may try to assure that the economy will not "suffer" (the main idea is to prevent panic), however it will not be able to influence the external factors. 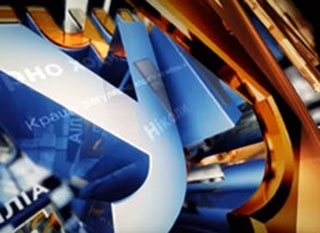 They may include the following: 1) Investment attractiveness will decrease: none of the investors will risk investing in a country that will give preferences only to military priorities, where there is a risk of alienation of property and deepening the relation problems of with our neighbor. However, the level of investments was not so high. The credit rating will fall with all the consequences. 2) Regarding the relations with the IMF, the martial law may, on the contrary, push the Fund to a more substantial support of Ukraine. Under positive scenario, it may lead to the Stand-by program. However, this program will show that the country really has serious problems with the economy. That will shake expectations of investors. 3) The attitude of the Russian Federation. Russia can "ignore" the situation, or may increase the pressure on Ukraine. In particular, after the official announcement of a martial law, restrictions on the movement of capital from Russia (and vice versa) may occur, the Azov ports may be blocked (under negative scenario): if the conflict intensifies, this may be reflected on the economic activity in the waters of the Azov Sea. Under full blockade, ports will lose up to $ 2 billion. The problem is that in case the martial law is introduced declaratively ("verbally"), then the economy will not be endangered. In case it is not declarative, then the economy can suffer from losses: the feasibility of such measures is doubtful, especially now. First and foremost, the government and the country must be economically prepared and ready to introduce such a law, rather than "it somehow will happen." Over the past four years, the government has not been able to lobby the interests, negotiate with Western partners and create an airbag that could minimize negative consequences in the event of a further deterioration of the situation. This implies Ukraine's dependence on mineral fertilizers and nuclear fuel for the NPP from Russia (30-40%): in case of the worst case scenario, the Russian Federation can stop the exports of these commodities and eventually our raw material economy will collapse. Ukraine did not establish the import substitution from our European partners. The martial law in the adopted form (some kind of hybrid version: it seems that nothing is limited according to official rhetoric) causes a lot of questions. It is not clear what exactly it changes and why it was adopted. It seems that the main goal, apart from checking the political "ability" to push the decisions, while changing them “on the go”, can still shield an attempt to attract the attention of the world community and the additional “transferring” of all the economic problems to external factors. Conclusion The developments with the Ukrainian ships in the Kerch Strait and the following consideration of the martial law introduction in the Ukrainian parliament demonstrated: huge level of distrust of the Ukrainian society to the current authorities. The idea on martial law introduction was perceived as a step for achieving political or business goals of the current country’s leadership, but not as a step towards the country’s defence. Martial law became synonymous to a direct threat of authoritarianism and human rights violation for various groups of political establishment, experts, media and the society. The country’s leadership has repeatedly used a threat of Russian attack to cover their illicit acts and the martial law initiative was perceived as a new game element, but not as a real step on protecting the national interests. Such initiatives are possible only if there is a significant level of trust to the authorities, thus, are possible only after the conduction of elections, i.e. the reboot of power is the only legitimate solution to the current crisis. demonstration of helplessness. From a legal point of view, the Ukrainian side has not violated anything and acted according to the law. But the decision to plan and conduct such an operation in the Kerch Strait on the fifth year of de-facto war without consideration of all risks and threats raises additional questions. The crisis demonstrated helplessness in front of a real challenge, for which the Ukrainian military have to ‘pay off’ now. lack of a strategic planning and systemic vision of the conflict settlement. Unfortunately, now one can observe only tactical calculations with short-term goals without any effective proposals on leading the country out of the current conflict deadlock. The introduction of martial law and shifting the economy and state governance into ‘military mode’ had to be done back in 2014 as nowadays it is unlikely to significantly contribute to improving the current situation.